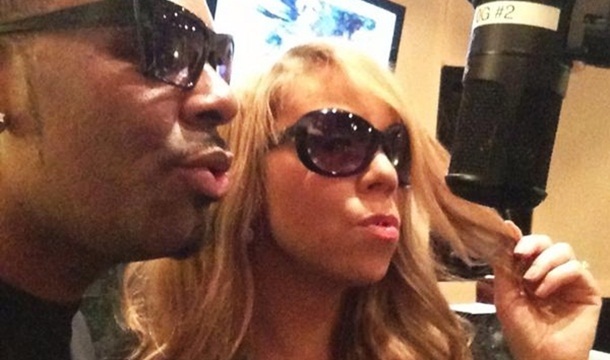 *In between her hosting duties for “American Idol,” Mariah Carey found time to tweet that she is working on a duet with fellow R&B star R. Kelly. Along with a photo of them sharing a microphone, Carey told fans today that they met up in a recording studio in Chicago to collaborate. “Me and Kells in the lab in Chi town working on a new song! Omg – his voice sounds A++,” she tweeted. Previous ArticleClinton, Julian Castro Team for New Obama Fundraiser in L.A.